Table in salvaged English oak with wax oil finish. 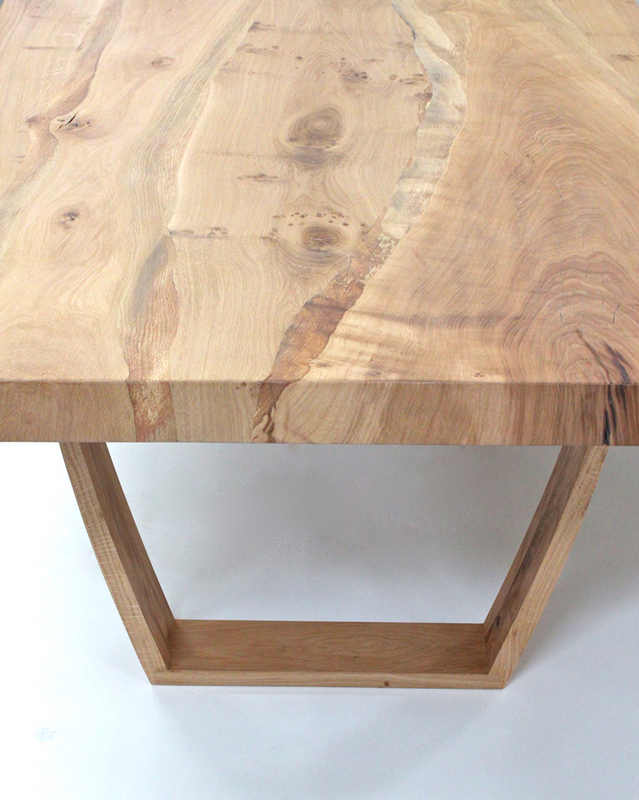 Each table is individual with a choice of oak or various timbers available. The full width of the tree trunk is used with the sap wood being inset into the top as a reminder that it was once a beautiful tree. Each table is made to order in various sizes.